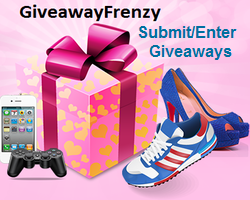 This prize pack is full of items any woman will love, with prizes from all sorts of wonderful companies. So whether you’re hoping to win gifts for some of the women in your life, or you’d like to try out these great products for yourself, make sure you check out the sponsors and then get your entries in below! This entry was posted in 2014 Holiday Shopping Guide, Giveaways and tagged Beauty, Christmas, Clothing, Giveaway by Tara.Bookmark the permalink. I have never seen a butterfly bag by Maggie before I love the design and style of the bags. Younique by Emilee…i really liked the ‘singular sensation collection’, everything i would need and could take it on the go. I like the Campus Tote – Magenta. Lucrative Lip Gloss in Luxe.